Do you know about Japan Up! Magazine? 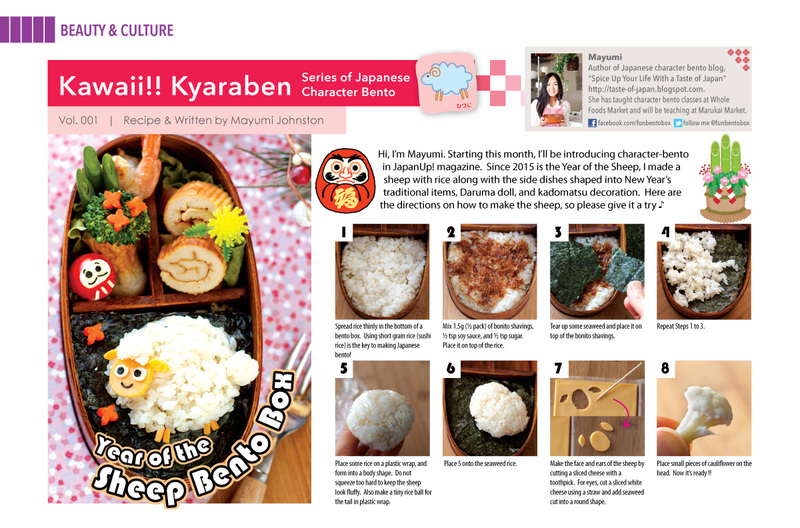 It's a free monthly English publication introducing authentic Japanese cuisine, trend, culture and more! I just picked up their January issue at Marukai market in Costa Mesa. 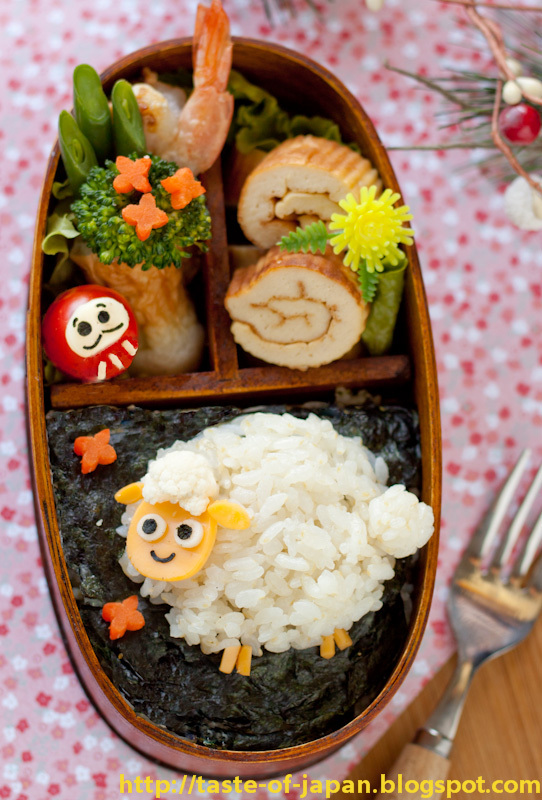 Yes!This is my bento:) From this issue, I'm introducing character bento every month on Japan Up! Magazine. Also I will be teaching classes at one of Japanese grocery store. Dates and Detail coming soon!!! !